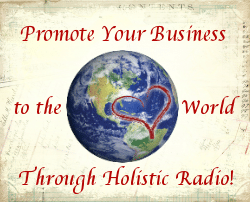 Allow us to promote your business in the most glorious way through holistic radio with a customized audio commercial. Let’s co- create and capture the essence of your business! We are a station with a vision to awaken listeners to their spiritual journey. We are coming together with the intention of healing others, the planet and ourselves. By becoming part of our Radio Community through Advertising or Sponsorship, you support a company whose foundation is in unity consciousness with a mission to cultivate change through creativity and placing compassion into action. Dreamvisions 7 Radio Network’s model includes a number of Station mediums all with a global reach. The benefit of advertising with us is automatic syndication. Today’s Radio is different than years ago; our Radio Station has no boundaries. Whether your business is local, national or international, we’re a perfect platform to expand your company’s message. With our Global Internet Radio Station, and apps for mobile devices your audio commercials receive ongoing continuous worldwide exposure. Dreamvisions 7 Radio Network is a Holistic Boston based syndicated Internet Radio Station with a growing number of radio mediums. The mission of the Station is to facilitate the enlightenment of humankind by providing a platform for holistic and healing programs that educate listeners bringing them conscious awareness of their inner light so that ever growing numbers of people may learn to live with joy, love, peace and ease. At Dreamvisions 7 Radio Network, we balance our receiving by supporting conscious companies and non-profits making a difference in their community and beyond. We believe it is everyone’s divine birthright to have shelter, nourishment and an education. Collectively we can provide every person the opportunity to thrive so they may pass the torch of “conscious giving” to others. By adding any of these packages to your biz or product ad campaign, you can create full media coverage, at 33% savings. Need a Logo or Banner? We’ll design either for your business $125 Logo,$200 Banner. Buy the Violet Blue Bundle and receive a created Logo or Banner free. We hope you will join our online community. Dreamvisions 7 Radio Network is a Station fostering unity, love and planet consciousness. From an interconnected mindset, we cultivate a belief that when we utilize our life purpose to serve others, we nourish ourselves and contribute to all life on this Planet. Sign up today!